This is a part fiction, part true story of one of the most horrific days in our history. All the facts surrounding that day are true --I lived it. The fictional part examines what might have gone on in the mind of one of the victims during his last minutes of life. The watch hanging from Ian’s belt loop under his white chef jacket read 8:15. The morning rush was in full swing. Patrons sat in the sunlit posh restaurant—some drummed their fingers with impatience, others read the Wall Street Journal. Many seemed barely awake, sipping coffee for a caffeine jolt. Ian had worked the kitchen all morning, his third day on the job as a Sous Chef to the Head Chef. He had survived the breakfast rush; bagels with cream cheese and lox for the rushed, Quiche Lorraine for the ones too important to punch a time card. Still, most would be heading to their various jobs, many on the 104th floor below the restaurant. The conference room, a floor below the restaurant, on the 106th floor was catering a breakfast to the Waters Financial Technology Congress, serving seventy-one guests. Ian was preparing for the lunch entrée special; a new recipe Chef would be offering to the lunch crowd--numbering hundreds. Ian worked quickly, with dozens of cooks helping to prep the ingredients. It was a gourmet delight – an aromatic concoction of bowtie pasta swimming in a rich white cream sauce, consisting of sweet herbed butter, heavy cream, white wine and an imported parmesan cheese. Large shrimp lightly sautéed in the sauce were placed on top, sprinkled with crumbled Greek feta cheese, sweet basil and freshly ground black pepper. Parsley sprigs added décor to the plate along with a few strips of fresh grilled red pepper. Chef Mike was confident of his creative cuisine. He was not of his new Sous Chef and often hovered over him, making Ian nervous. He was glad Chef Mike would not be coming in to work until the noon rush. This entrée could not be made completely in advance and the chef wanted a few made up to insure the recipe was followed to the letter. He had a fine reputation to maintain. As customers rose to go to their perspective jobs; many glancing out of the rows of large windows overlooking the panoramic business district of Manhattan and the East River, the dining room was set up for the lunch rush. Ian had Chef Mike’s creation ready to be sampled as soon as he arrived for his shift. He was afraid his job depended on how well he had prepared the dish. Still, he had done his best and felt confident it would suit the perfectionist chef. Blinding light and roaring noise shut out his world. Fire and smoke filled the entire 107thfloor, screams of panicked customers and workers alike died out quickly as they were overcome by suffocation and burns. The delectible shrimp and bowtie pasta entrée was destroyed along with most of the kitchen. Neither Ian nor Chef Mike would ever know if it met the chef’s high standards. His new recipe would go uneaten, along with all the meals scheduled for that luncheon meal. Windows on the World, Manhattan’s noted and loved restaurant was destroyed. It was 8:55 and the 104th floor was incinerated. People on other floors were spared the direct impact of the first passenger jet, Flight 11 that slammed into the first tower of the World Trade Center on September 11, 2001. The ones on the top floor, along with the people in the restaurant were trapped. There was no way down. Many ran up the staircases to the top 111th floor and climbed onto the rooftop hoping to be rescued. Ian ran with them. He helped the few people alive make it to the roof. Helicopters tried in vain to reach them but black billowing smoke prevented this, as well as bursts of flame. People succumbed to the heat and smoke and died. Others chose to jump off the top of the building, rather than burn to death. Ian was one of them. As he jumped, his thoughts were of his wife and their new born baby girl. It was such a beautiful day that they had planned a picnic in Central Park when his shift ended. Before Ian reached the ground, his spirit left his body. He saw his body splatter on the street below. He watched as financial wizards, secretaries, businessmen, maintenance workers, became one in the futile effort to escape the building. He saw a second plane hit the second tower, taking more lives in an instant. This plane hit closer to the top of the second tower giving more time for people below those floors to get out. Many made it, many more did not. Ian’s spirit drifted through the first tower, watching frantic people calling on their cell phones for help—some realizing their plight cried and said goodbye to their loved ones. 911 operators, unaware of the gravity of the situation, gave wrong advice to many who called--advising them to remain inside until help came. Help, that was unable to reach most of them. Most of the ones who survived had ignored that advice and hurried to escape the building. New York City responded at once. Ian watched as police, search and rescue squads, and fire trucks rushed to the scene. Ambulances raced to help those who survived. People began the long trek down dark stairways, coughing and choking on thick black smoke; often meeting police and firemen on their way up the building. The heat was unbearable. Ian felt anquished, knowing that so many would never make it back down. He saw many like him who could walk through the ruins, already dead. The second tower imploded almost without warning at 10:05 A.M., through time held no meaning for Ian. Thousands of lives were crushed into rubble. The ambulances and hospitals set up triages for the injured. Most beds lay empty, as few made it out of the towers alive. Except for the ones lucky enough to have escaped before the first tower imploded at 10:30, there were few patients to help. Ian observed the nearly 3000 souls wandering lost throughout the ruins. Many did not yet realize that they were dead. The shock waves of horror extended past Manhattan, its neighboring boroughs, rippled across the country, impacted the world. America had been attacked by cowardly terrorists on her own soil. New York City wept, Mayor Guiliani wept, the free world wept. And Ian wept. The Chef’s new entrée in the Windows on the World would go uneaten, never sampled for its flavor. There would be many uneaten meals that day and for many days to follow. Terror, death and inconceivable destruction had taken away the appetite of the City, the nation—most of the world. It left a bitter taste in the mouths of all those who lost loved ones and those who grieved with them. Ian glanced through the rubble and saw his chef uniform buried beneath the debris. It held a quickly scribbled note of love to his wife and newly born baby. He hoped it would be found and given to her. He also hoped that she would tell his baby girl about her father—so that his memory would live on, even if he could not. Ian sensed that this most infamous day would never be forgotten. He wished for new twin towers to be erected for all the lost lives destroyed this day, taken so brutally. And maybe a new restaurant and new offices restored—not to replace those lost but to honor them. Perhaps there would be a new chef with an untried recipe that would be eaten and enjoyed. If that day arrived, it would signify healing in a shocked and saddened nation—a new beginning. Ian turned to see a horde of people of all ages and occupations gathering together. He looked up and a bright, warm light spread across the sky. He saw arms outstretched to embrace those who walked toward the brightness. He joined them. Seventy-three employees in the restaurant died that day, all seventy-one in the conference room and an unknown number of patrons. Remnants from the Windows on the World restaurant rubble included: a dinner spoon, soup bowl, salad plate, dessert plate and coffee cup. Also found was a table lamp, champagne flute, bottle of champagne, grill scraper—and a chef’s uniform. Micki, this comes up as a blank page. ??? I am also experiencing the pale print problem. I hope you get this comment my friend and cheers to you! 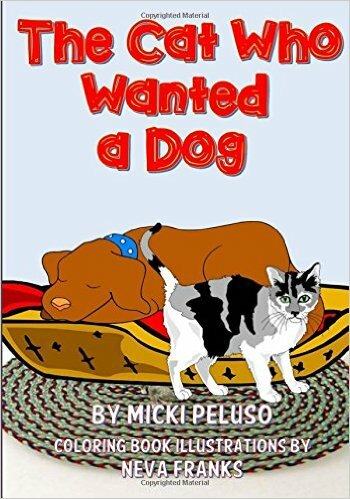 Micki Peluso is the author of "And the Whippoorwill Sang"
I began writing in my 40's as a catharsis to heal the wounds of the death of my 14 year old daughter by a DWI. My first short story concerning this was published in 'Victimology; an International Journal', followed by several related poems. 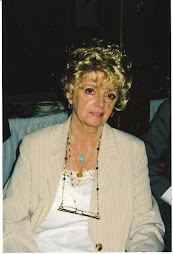 Inspired to continue writing, I became a freelance journalist for my daily newspaper and staff writer for my bi-weekly award winning newspaper. About a dozen multi-genre fictional stories and non-fiction slice of life stories are published in award winning anthologies such as 'The Speed of Dark', 'Tales2Inspire', 'Creature Features,' and 'Women's Memoirs.' 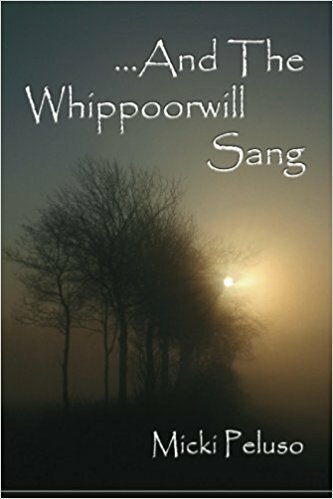 My first book, a memoir about my daughter's death. . . . AND THE WHIPPOORWILL SANG, won the Silver Award for 'Books that Build Character', 3rd place memoir prize in 'Predators and Editors.' and !st place award in 'People's Choice.' This book is a funny, poignant celebration of her life rather than a eulogy of her death, likened by some reviewers to "To Kill a Mockingbird', and to others,"Cheaper by the Dozen'. 'The Cat Who Wanted a Dog' is my first children's book, and 'Don't Pluck the Duck,' a collection of short fiction and slice of life stories is about to be published in 2017. HI Kids, I'm Toby olor me as you read about the day the monster visited. Yikes!